Sasso is made from 100% Xarel·lo a leading indigenous grape variety of the Penedès region. 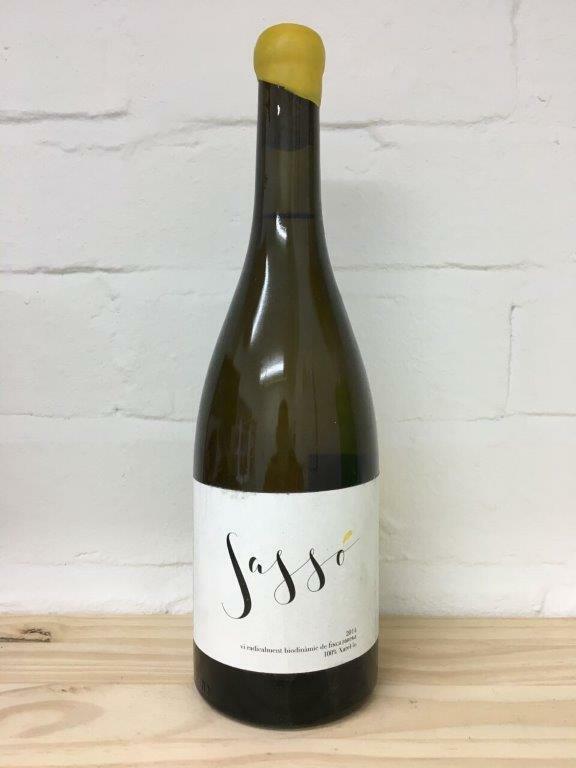 The wine has been aged in Acacia wood adding texture and distinctive yet delicate sweet spice notes.The Parera family consider themselves farmers before winemakers. This is not to say they are not skilled in their craft as (latest generation) Rubén Parera studied winemaking at the world famous Bordeaux University. The reason for this statement is that they believe true quality comes toiling the land and nurturing the growing conditions to allow fruit to thrive.They have been farmers for over 100 years. They grow cherries, olives, almonds and of course grapes. They are famous in Catalonia for their organic cherries. Rubén's often greets visitors with the phrase 'Welcome to the Jungle'. Biodynamic practices have moved them towards vines being left un-pruned, ground cover growing vigorously and a plethora of vegetables, herbs and flowers dotted around and in the rows of vines. Despite Rubén's classical training in winemaking he is quite radical in his approach and applies a minimal intervention approach. The resulting wines are bold, unique and a breath of fresh air in a world where wine styles are becoming depressingly homogenous.